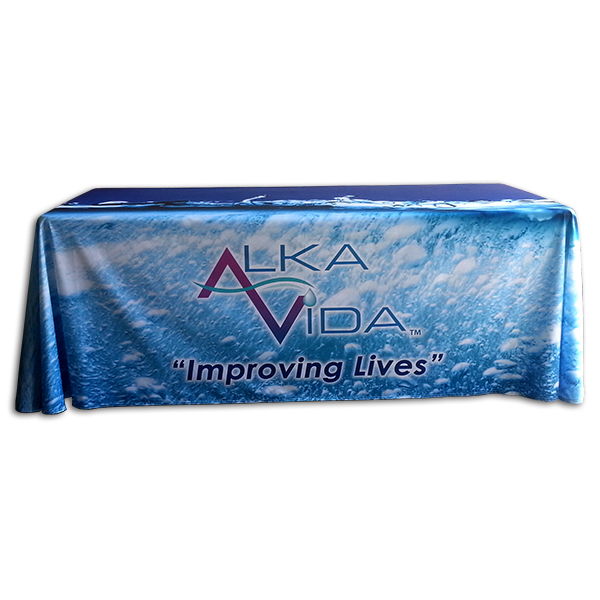 Custom printed table throw cover for 6ft Table. 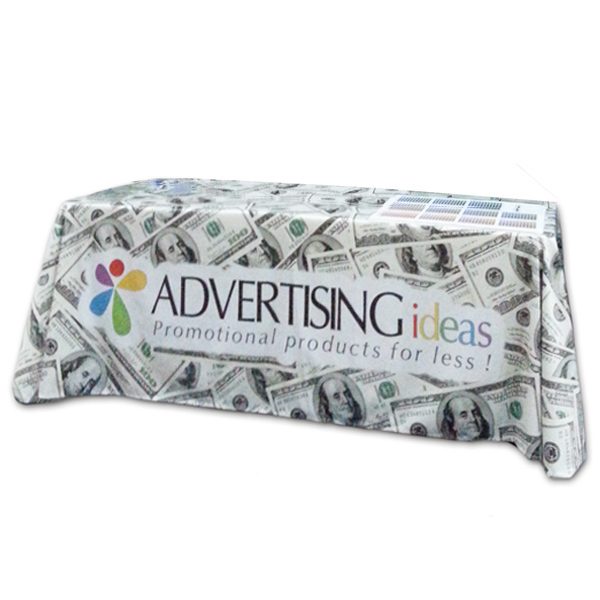 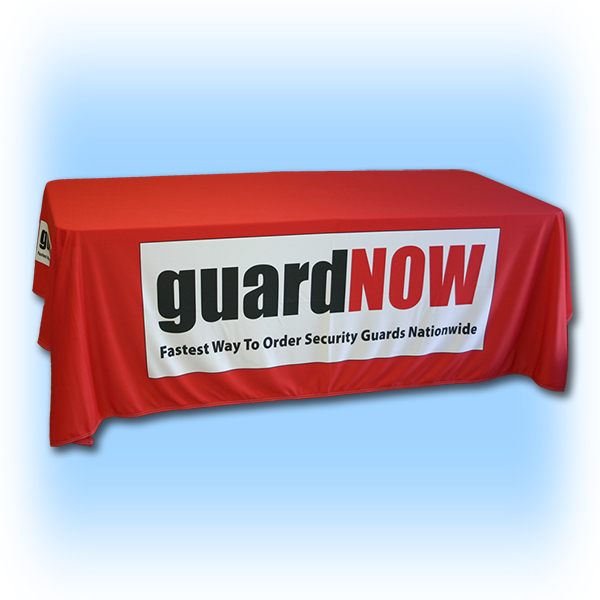 This is a 3 sided full color digital print table throw cover with open back. 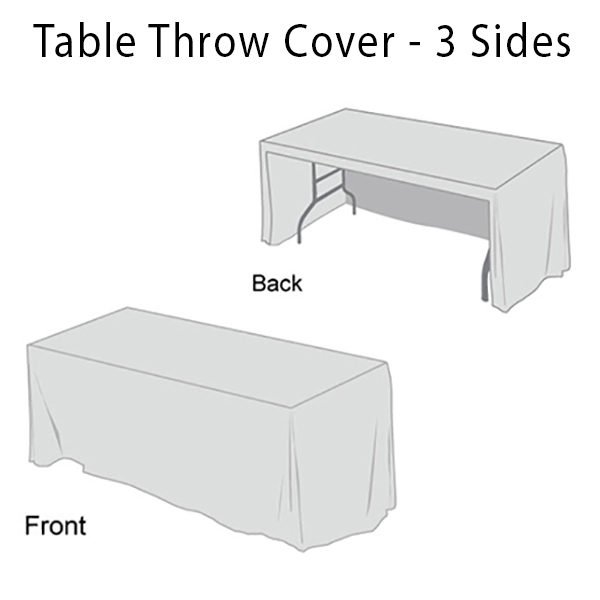 Available for 4ft, 6ft and 8ft tables. 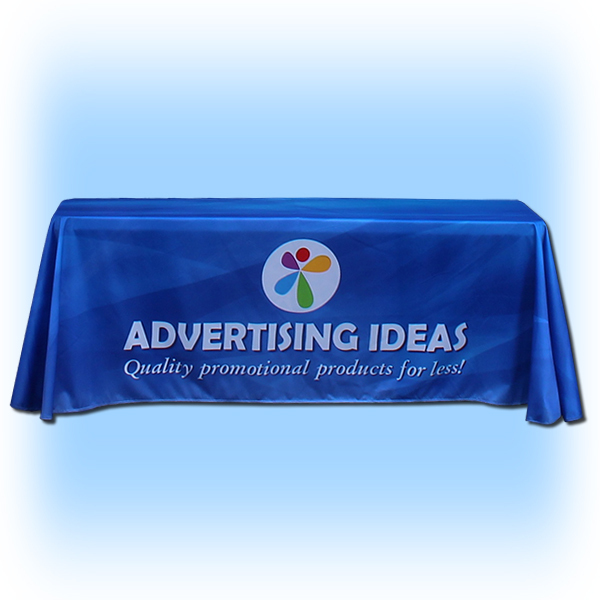 Please CONTACT US 1-800-778-2675 if you need assistance with different sizes or shapes.